Nobody can say Google isn't listening to feedback. Just two days after rolling out a slightly modified layout for the long-press symbols, a minor update to v6.9.7 was released to return them to their previous arrangement. Sooooooo... Disregard this one. Left: v6.8. Center: v6.9. 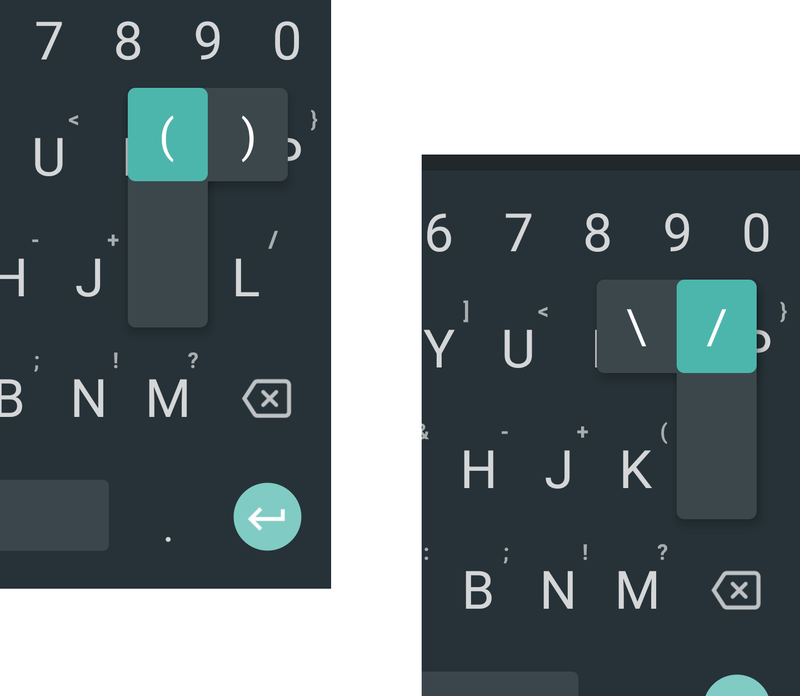 Right: v6.9.4 expanded long-press keys. 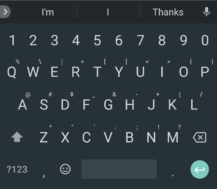 There was one hard to spot change in the keyboard itself, but it's only going to be visible if you've got the long-press symbols enabled. 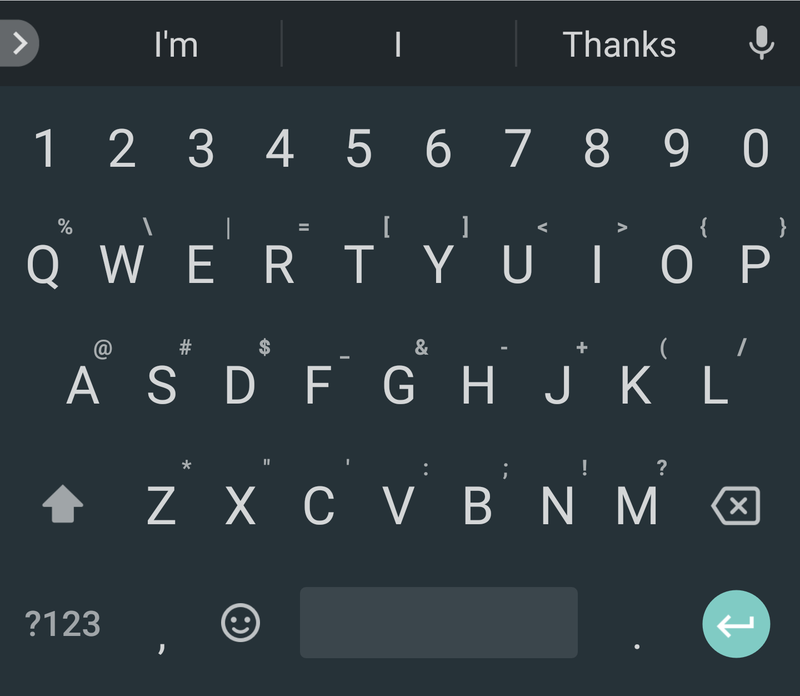 The K and L keys used to be home to the left '(' and right ')' parenthesis, respectively, but some things have changed with this update. 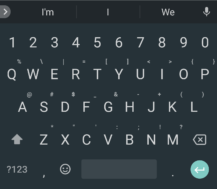 After updating to the latest version, you'll find the right parenthesis on the L key has been replaced with a forward slash '/'. This doesn't mean we're missing one side of a matched pair, the right side has been moved over to join its twin as an alternate symbol on the long-press of the K. Likewise, if you check the long-press menu for the L, it also contains a backslash '\' as an alternate . – Thanks, Lukis24, DJAKDEKIEL, and Greig Fields. The only discernible new feature in this update is actually all about new features, or rather, telling you about the new features. 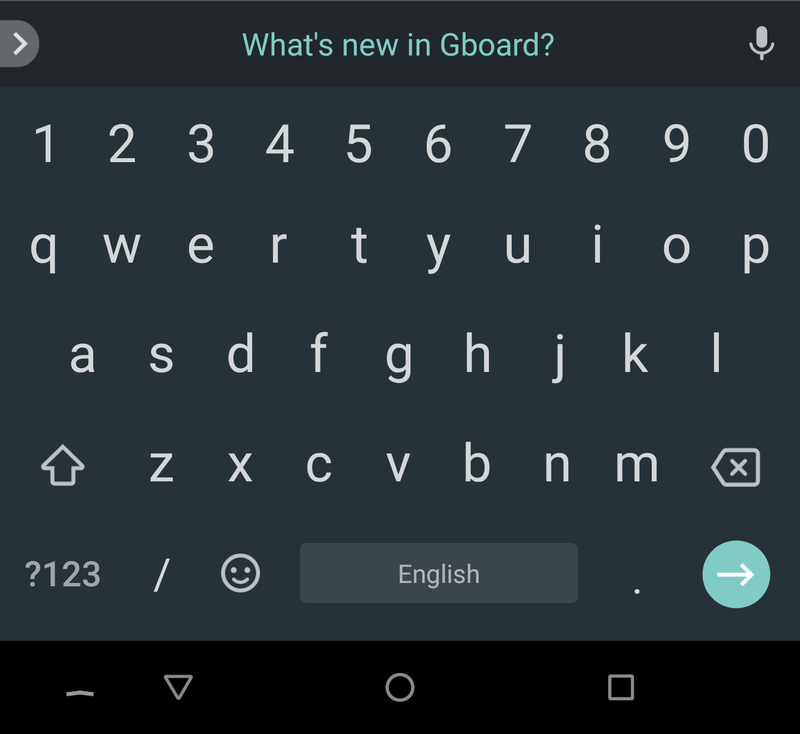 If you open or use Gboard in the right situation, the latest update will show a link in the suggestion box with the words "What's new in Gboard?" For me, the most reliable way to get this to appear was from opening Chrome and tapping on the address field, but even that was hit and miss. 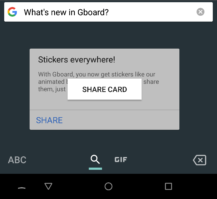 Tapping on the link will open Gboard's new feature cards. With this update, the only thing Gboard is highlighting is the expansive support for stickers, which were originally added in v6.5, and then enhanced further in v6.7. I think the dev team is including that one to raise awareness of stickers, because this version doesn't appear to include any brand new changes to how they are used. Google has really nailed down the techniques for intelligent messaging. Starting with Inbox (by Gmail), the Smart Reply feature was built and refined to deliver context-aware responses for messages that we received. Smart Reply would eventually find its way into Gmail, Android Messages, and many others. It even became a staple feature in Android Wear. The catch is that each app has to implement Smart Replies individually, which might not be a problem for Google, but there's no open library or Play services API for independent developers to use. 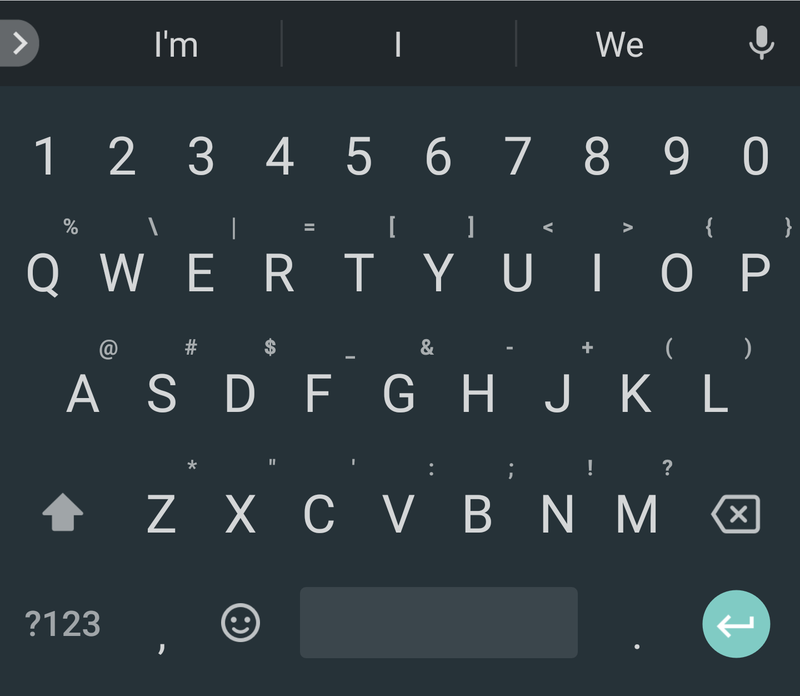 It looks like Gboard may be coming to the rescue, but only for a very specific situation. New text suggests Gboard will begin providing suggestions, a la Smart Reply, when message notifications come in, as long as they implement Direct Reply. In case you've forgotten Direct Reply, it was introduced with Android 7.0 Nougat to make it easy for messaging apps to deliver a notification with a simple reply action so users could respond to messages without switching applications. If users want to get smart replies for incoming notifications, they'll have to enable notification access, which gives Gboard permission to read the content of notifications. 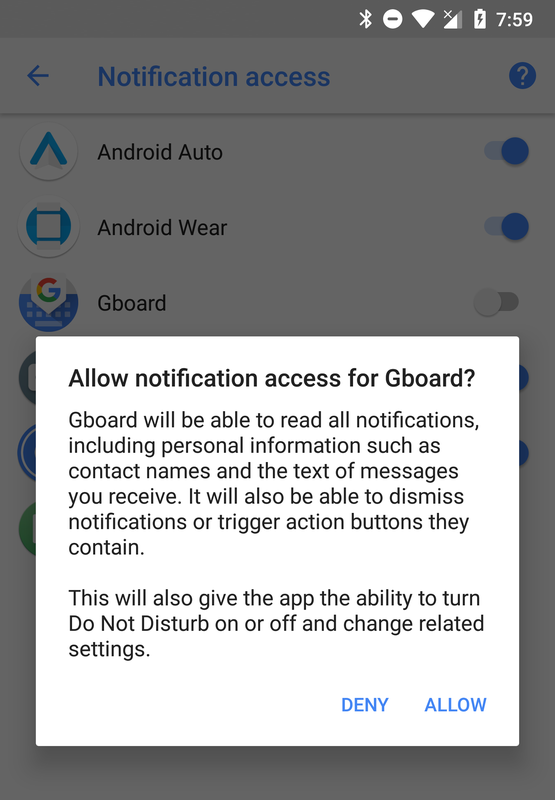 With this update, Gboard has now registered with the system so notification access can be granted, but the feature isn't live yet, so it hasn't begun requesting permission from users. However, this leaves me thinking that the dev team might be planning to begin launching smart replies between now and the next update, so this may be worth watching closely. 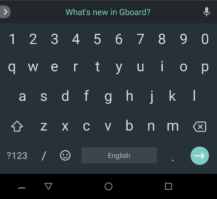 Two new strings appeared with naming that suggests Gboard will be able to "search all media." While there's no other description for what this does, the term 'universal search' is conventionally used to describe a search that pulls from both Google's web results and locally stored data, which often includes files stored in common locations (e.g. the Download folder) and data from apps that have exposed a search provider. I'll venture a slightly stretched theory that Gboard might be adding this so users can search for something like 'cat' and get back personal photos of their cats, much the same way as it works in Google Photos. 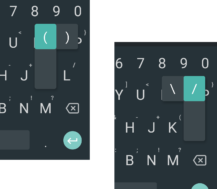 This would make a lot of sense in messaging applications where it would often be more convenient and consistent to use the keyboard that's already open than to use the somewhat inconsistent interfaces implemented across various other apps. Again, just a theory, but it sounds plausible. 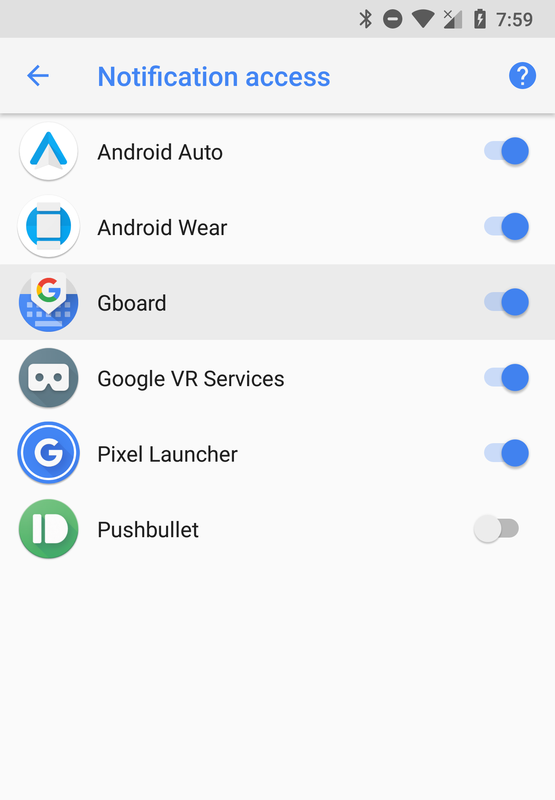 If somebody looks at your IM history and sees mostly GIFs and stickers, the last few updates to Gboard have probably had quite a bit for you to play with. The feature card discussed above may be there to highlight previously added features, or it might really be foretelling of what's to come. 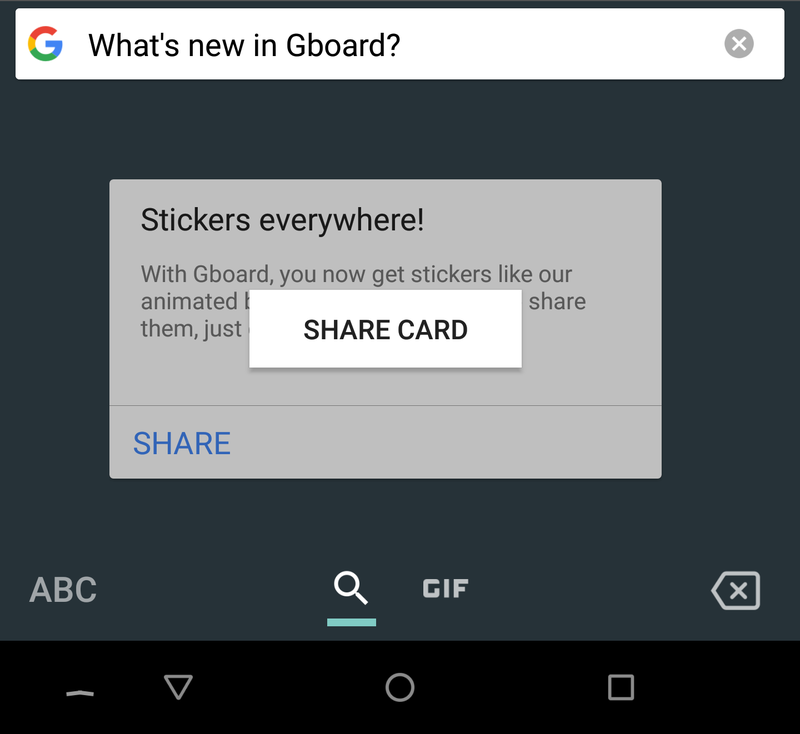 Along with the text of that feature card, which promotes the animated blob stickers, there are new lines promoting two other new features, though their cards aren't being displayed yet. The first of the two will be integrated Bitmoji. 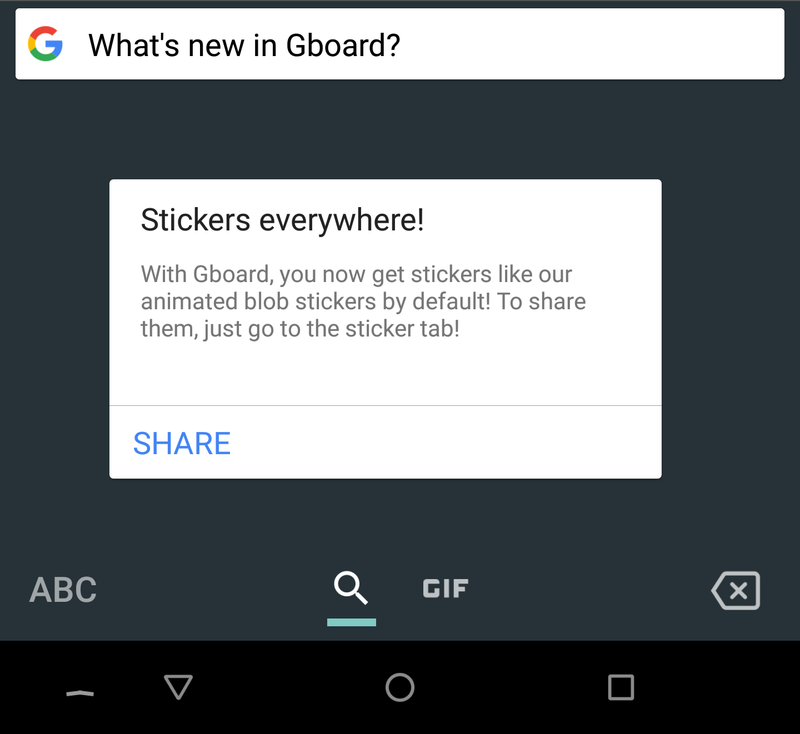 Back in August, Bitmoji support was added to Gboard, but you had to download an additional app to use it. It seems we'll now be able to use it without the separate download. The other (future) addition is probably going to sound oddly familiar, at least if you're either an iOS user or friends with one. 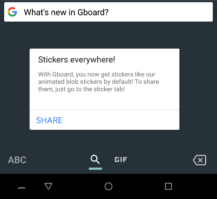 The 'MAKE A GIF' feature from Gboard on iOS is coming to the Android version. This isn't the first time we've seen references to MAKE A GIF, it also popped up in a teardown of v6.8. Promotional text like this is usually a good sign that a feature is close to launch, so we'll probably see it in the very near future.